A great purge of condo inventory is under way, particularly in the one bedroom segment. With the market flooded with first time buyers coupled with investors looking to add to their investment portfolio, one bedroom units have become a rare commodity. 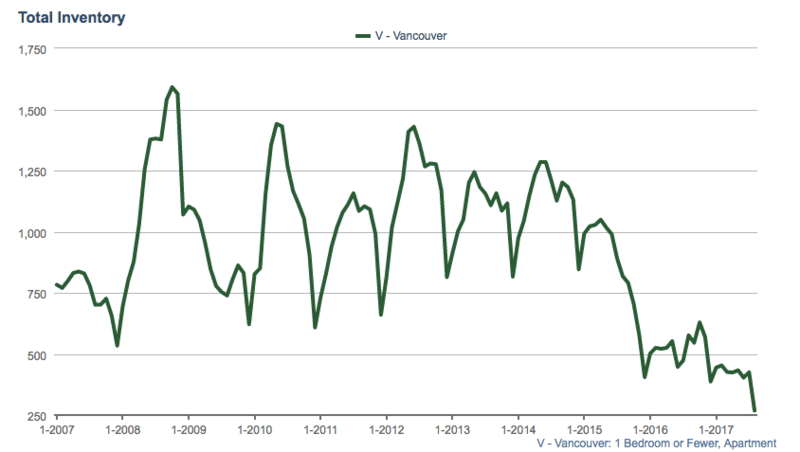 Vancouver condo inventory for one bedroom units has plummeted by 53% year over year, hitting a 12 year low. This historic drop is most prominent at the one bedroom level as it’s essentially the entry point for most buyers. With two bedroom inventory not far behind, and also scrapping a 12 year low. 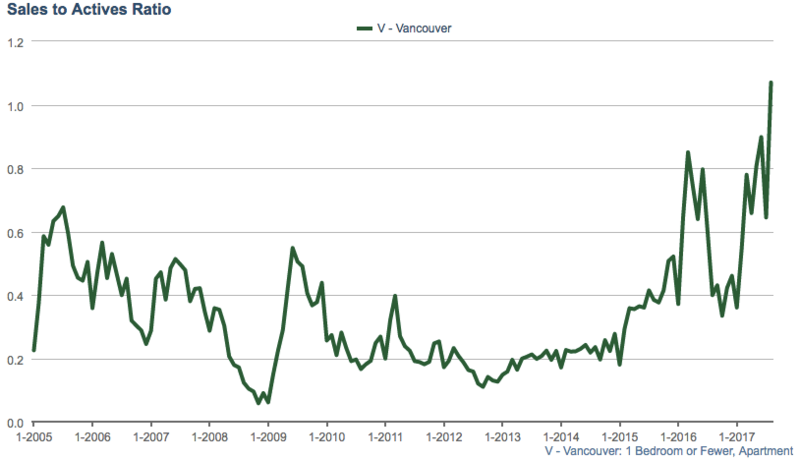 To highlight just how dire a situation the Vancouver condo market is in, the sales to actives ratio for one bedroom units is still a mind blowing 107%. A number that has never been seen recent history. A speculative mania has buyers bidding up condos at a rapid pace with little signs of slowing down (average price per square foot up 19% this year). The question now becomes how much higher can it go? Will a hawkish Bank of Canada and rising interest rate be enough to douse the flames? Surely one has to think.